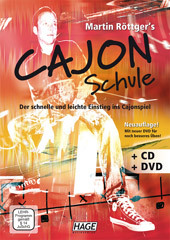 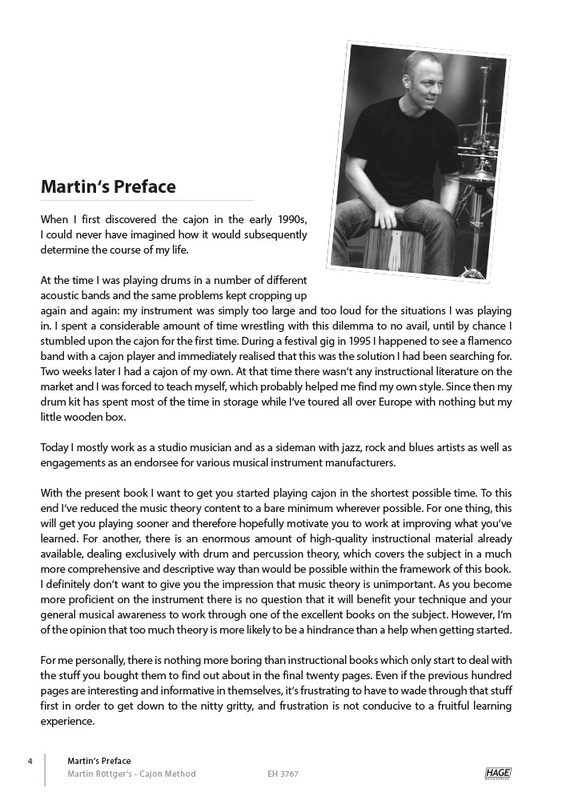 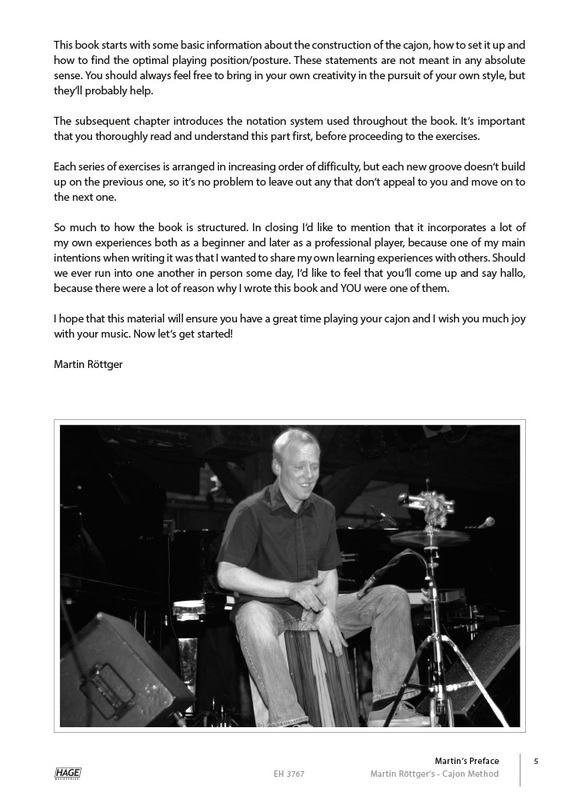 Martin Röttger is regarded as one of the finest cajon players in Europe. 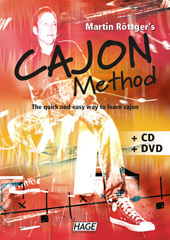 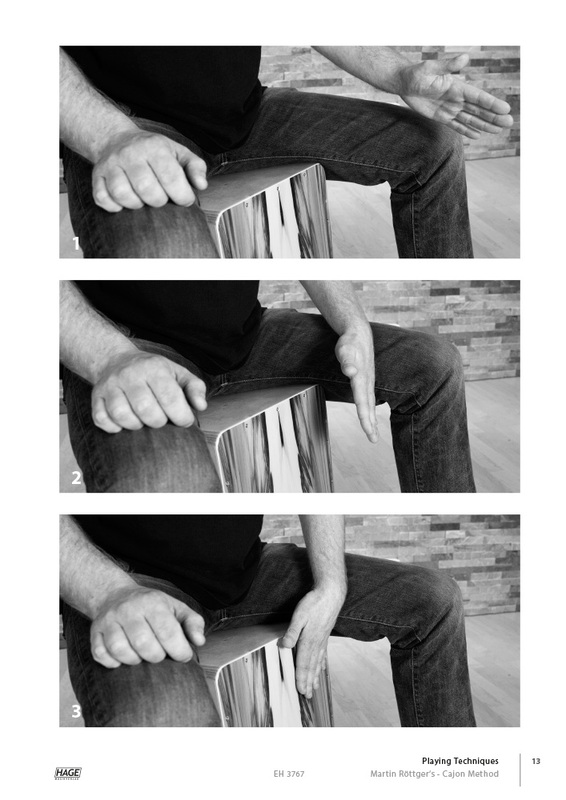 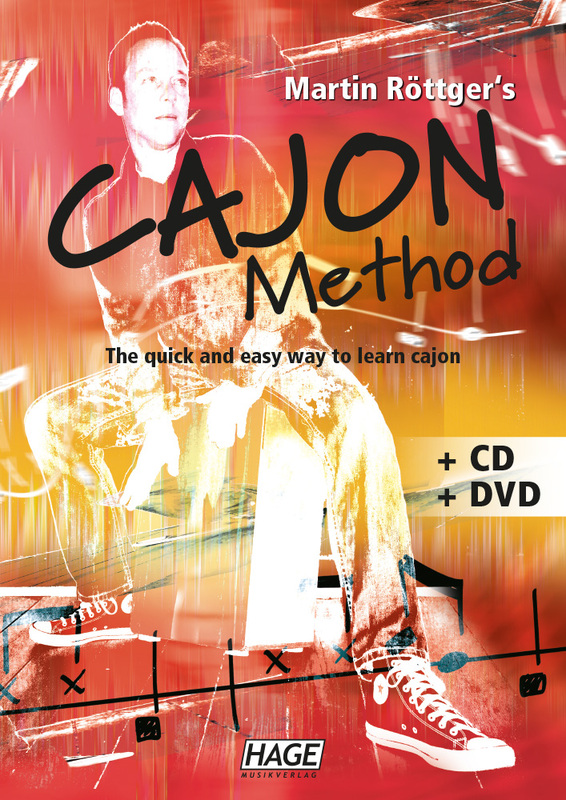 With his great new cajon method you can begin playing your first grooves on your own cajon within 10 minutes. 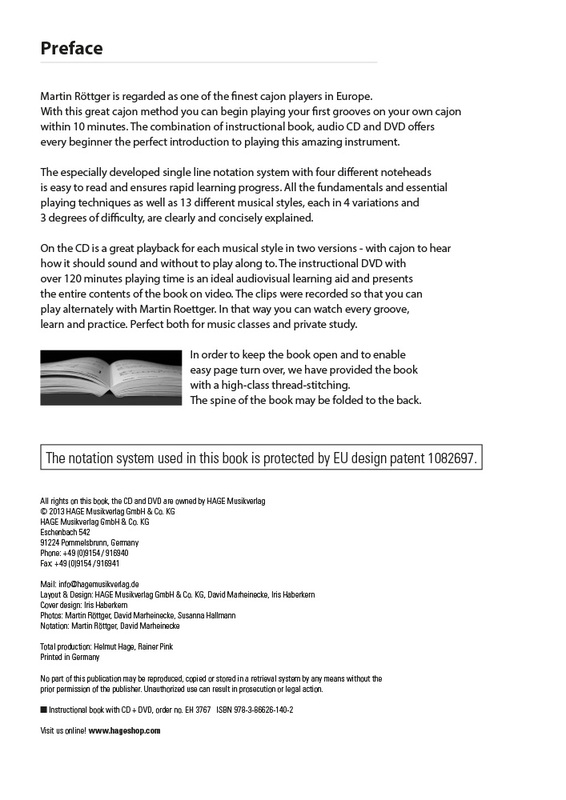 The combination of instructional book, audio CD and DVD offers every beginner the perfect introduction to playing this amazing instrument. 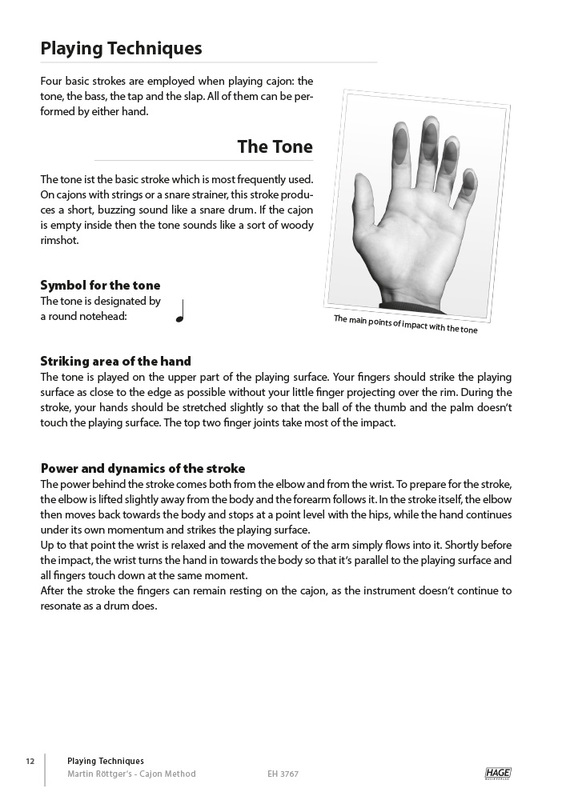 The newly developed single line notation system with four different noteheads is easy to read and ensures rapid learning progress. 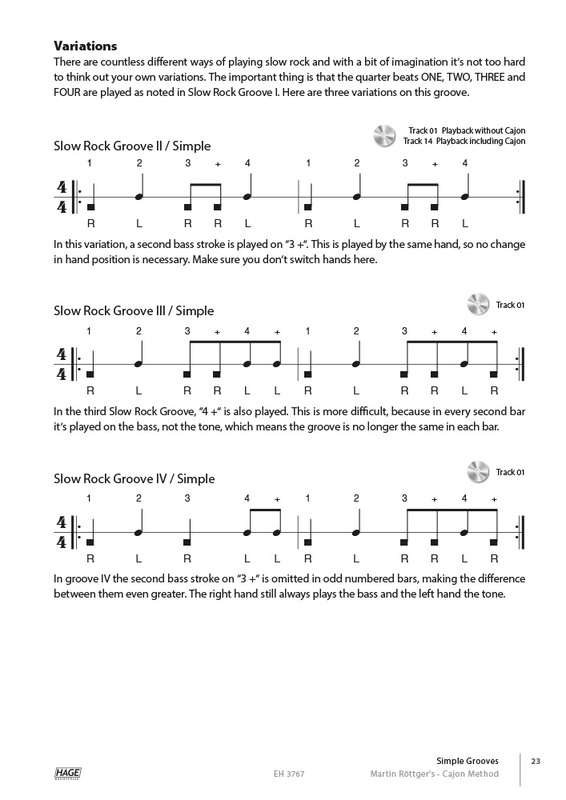 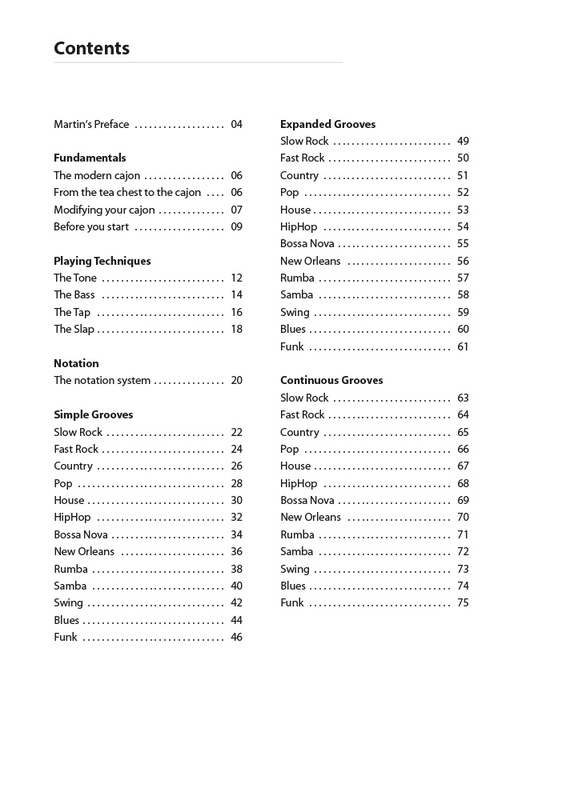 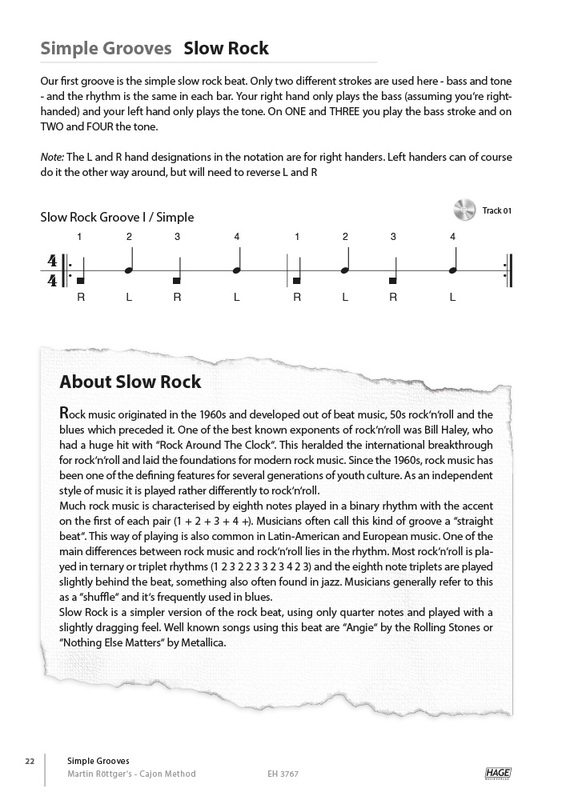 All the fundamentals and essential playing techniques as well as 13 different musical styles, each in 4 variations and 3 degrees of difficulty, are clearly and concisely explained. 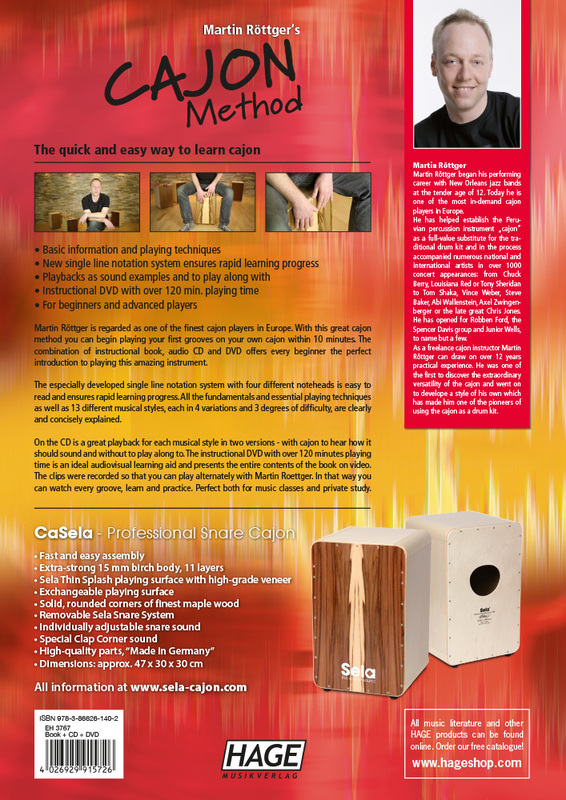 On the CD is a great playback for each musical style in two versions - with cajon to hear how it should sound and without to play along to.